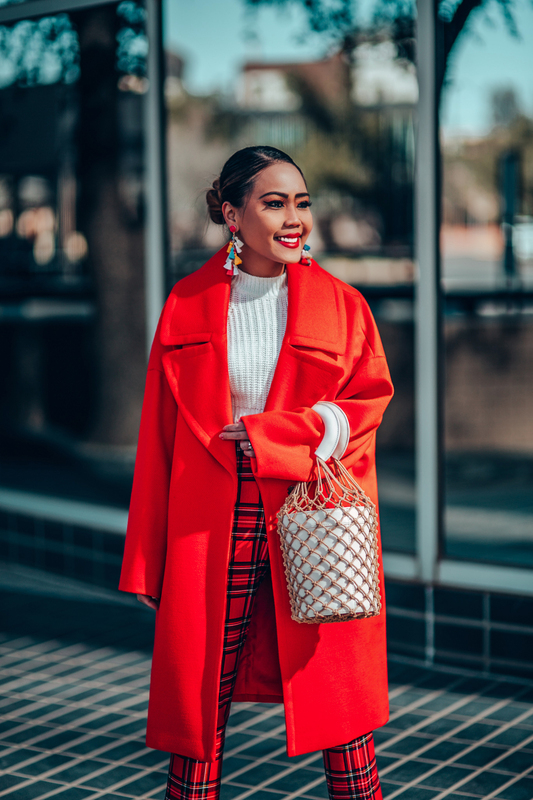 I would say a red coat makes everything more simple when you want a cool look without doing too much. You know that winter is that season when you basically want to cover yourself so you don’t freeze and styling might be last on your list when you want to leave the house. But if you can do both at a blink of an eye, would you? I don’t know why but I have been on the hunt for the perfect red coat for the past couple of years. Something about it reminds me of Audrey Hepburn or being in NYC. It’s a classic color that seems to go with everything. I usually stick to neutral colors when it comes to coats (for more wear) but it’s a coat like this that makes an outfit. Out of all the different colors for winter coats, it is easy to gravitate towards dark navy and black. These are universal colors for outerwear that easily go with every outfit in our winter capsule. 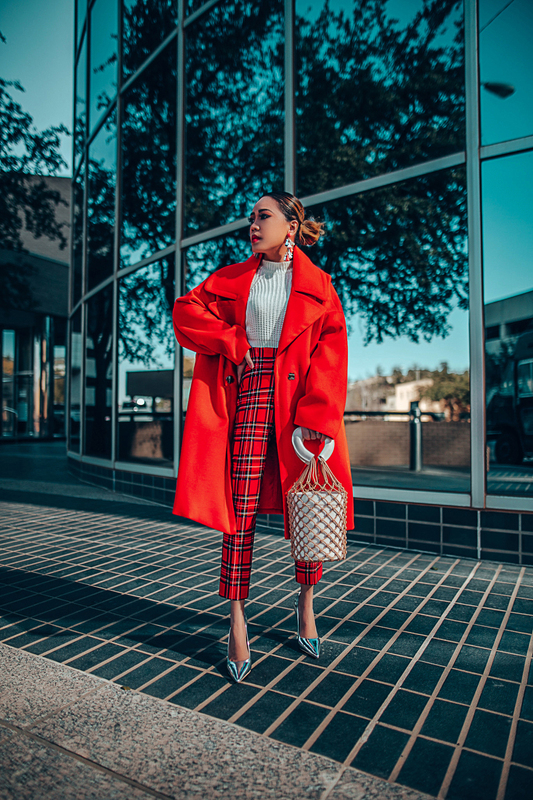 On the other hand, red coat outfit ideas represent passion, love, and adventurousness. You can wear any dull, boring outfit that keeps you warm and put a colorful coat over it. There you go! you’ve already got such a cool look without doing much. Add some colorful accessories from Sugarfix by Baublebar or red plaid pants and maybe some cool pumps and you’re ready. 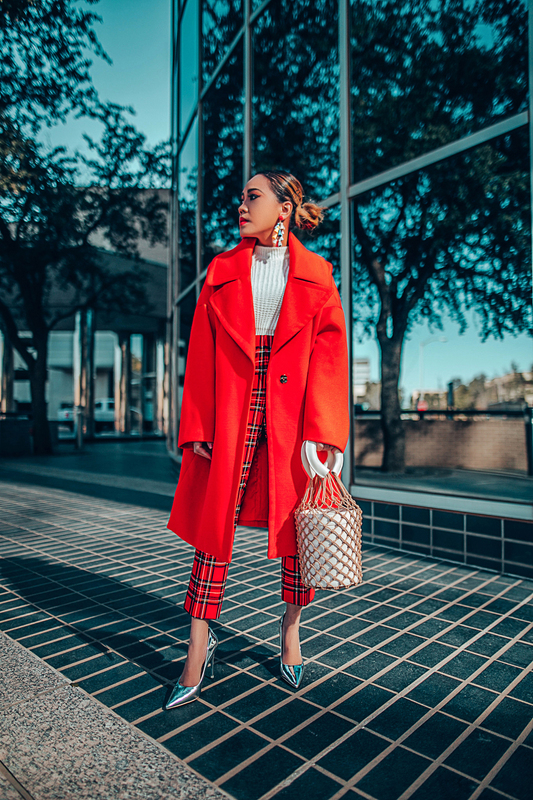 Red coats look awesome in winter on a gloomy background so maybe you will consider buying yourself such a coat or maybe in another bold color. I would suggest an emerald green or ultraviolet because this is indeed the color of the year. Next Post Are You Ready To… Ruffle? Oh gosh! Such beautiful color on you girlfriend! 😩So true about winter! I just want to hide sometimes and bury myself in puffy jackets! This style is perfect and looks warm too! Red looks so so good on you! Also I love the bucket bag. So stylish, love your coat! This color is AMAZING and I loved the pictures too! Adorei o look, ficou lindíssima! Absolutely stunning! Red is definitely the way to go. Gorgeous Len! I love vibrant colors in the winter! this coat looks fantastic on you! I LOVE this look! That bag is amazing too! What a fabulous and classsic coat you have here dear. Love how you styled it with those plaid pants, really chic sophisticated look! Red looks great on you. And you’ve created a nice combination with the white sweater. Wonderful coat & you look smart. Keep posting this type of nice article. Cheers!